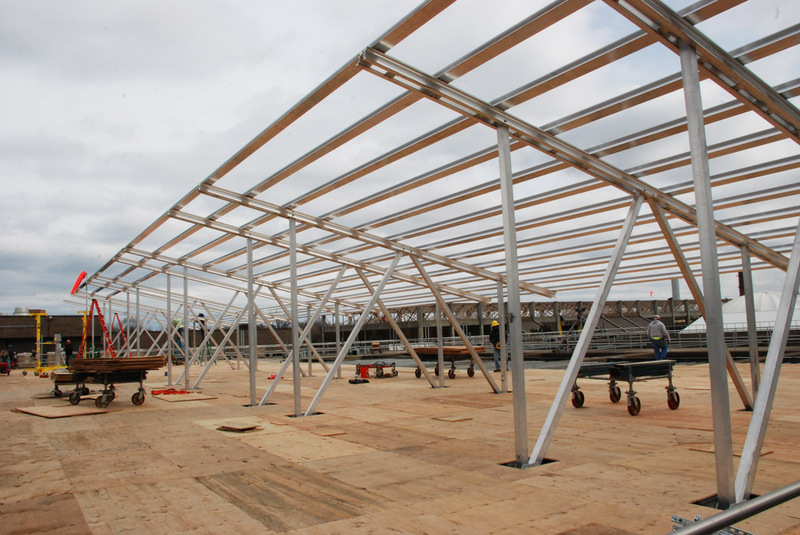 ← Superior Scaffold’s canopy withstands the harshest of tests. 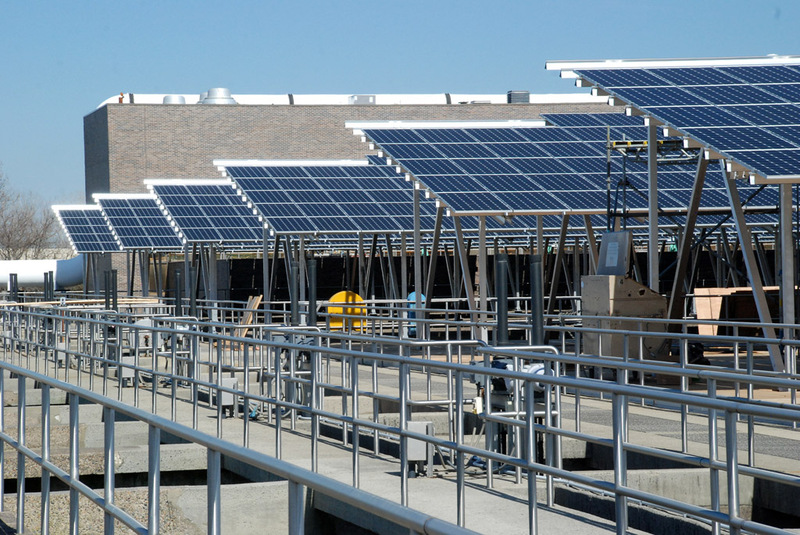 Superior Scaffold helps install innovative solar array over Camden County Wastewater Treatment Plant. 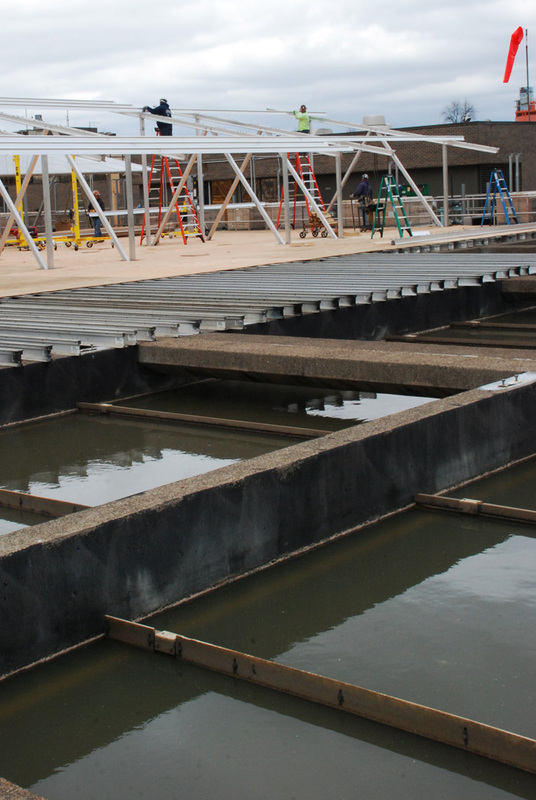 These arrays will enable the company to become more cost efficient and reduce the carbon footprint needed to treat wastewater. 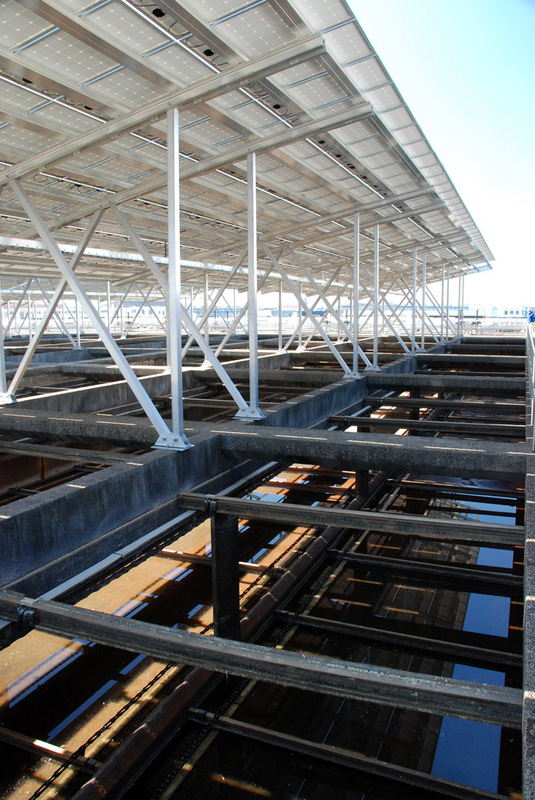 Superior scaffold’s challenge was to devise a way for the crews to install the 7,000 solar panels over the large aeration and sediment tanks WHILE the plant remained operational. 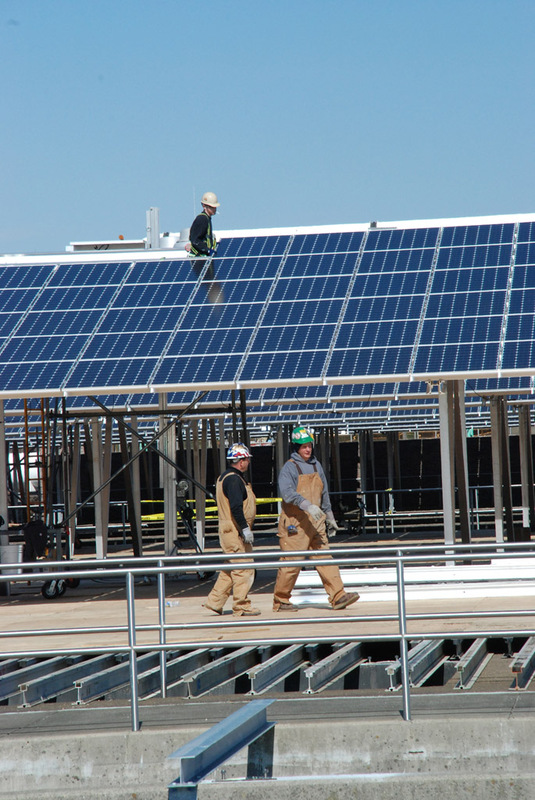 Superior’s crew (headed by Kenny Foreman) and groSolar decided to incorporate a series of aluminum beams and plywood decking that would provide platforms over each series of tanks to erect their solar arrays. 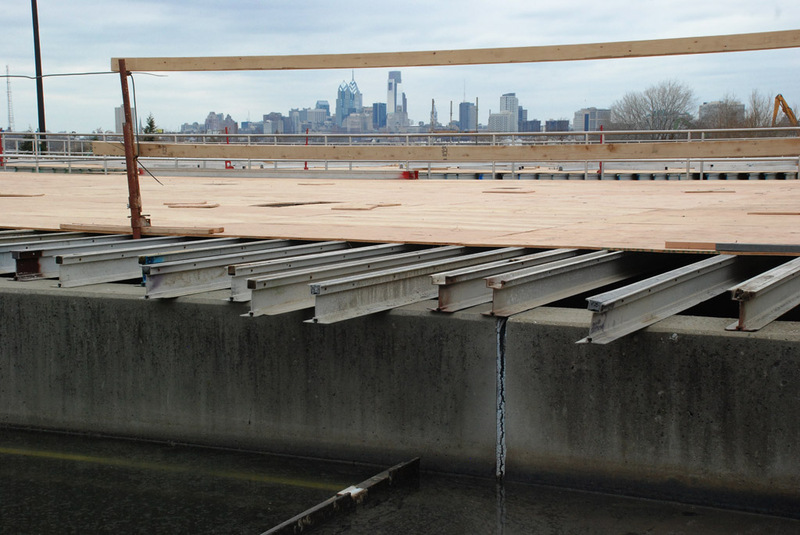 “Once the panels and their supports are permanently installed, the decking system can be easily moved over the next tank in a leapfrog type endeavor,” said Superior’s estimator, Anthony Pini. Here is what the final product looks like. 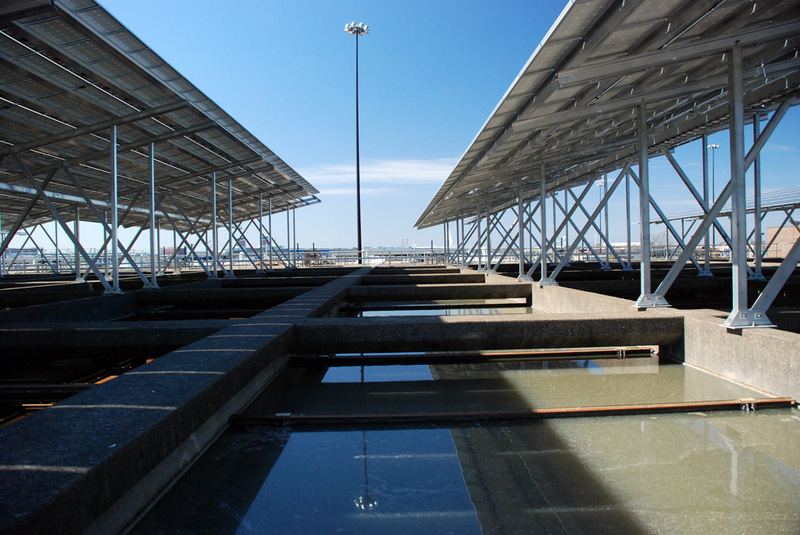 Many wastewater treatment plants are in a unique position to be able to take advantage of solar power because of their large physical size that often includes many unused acres. 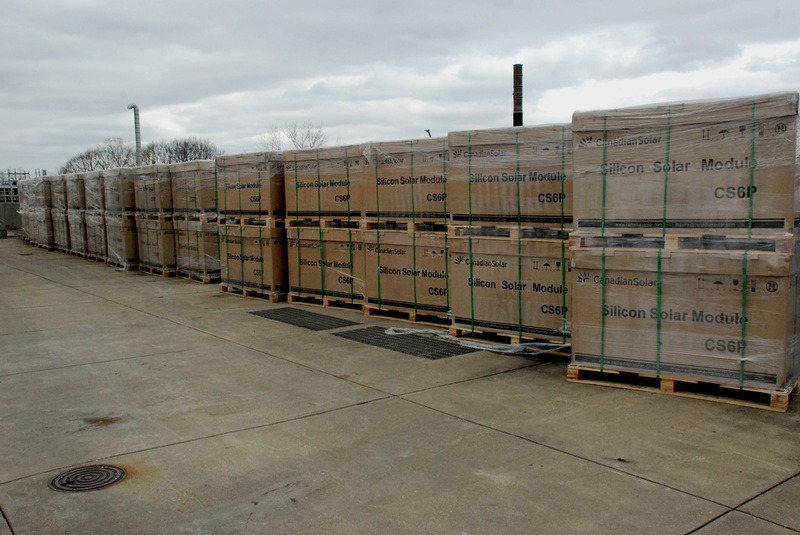 Superior is thrilled to help the Camden County MUA realize this potential. 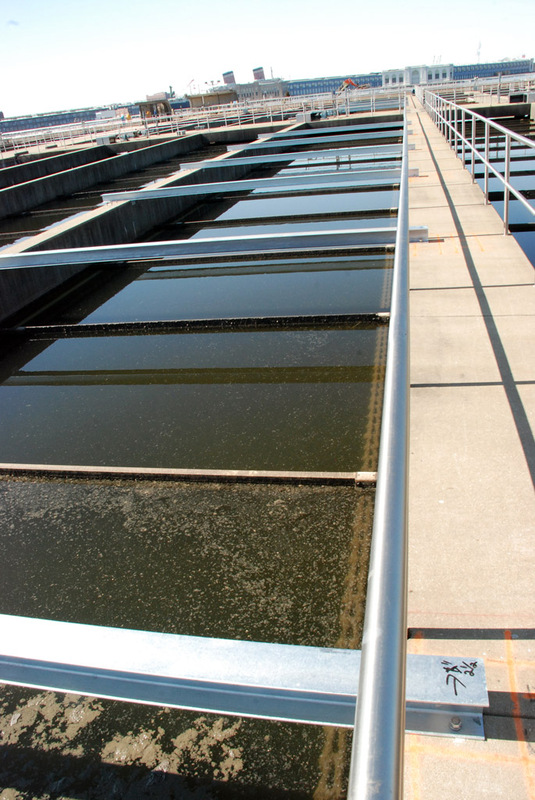 The County Regional Wastewater Treatment System treats the sewage discharged every day from properties in Camden County. 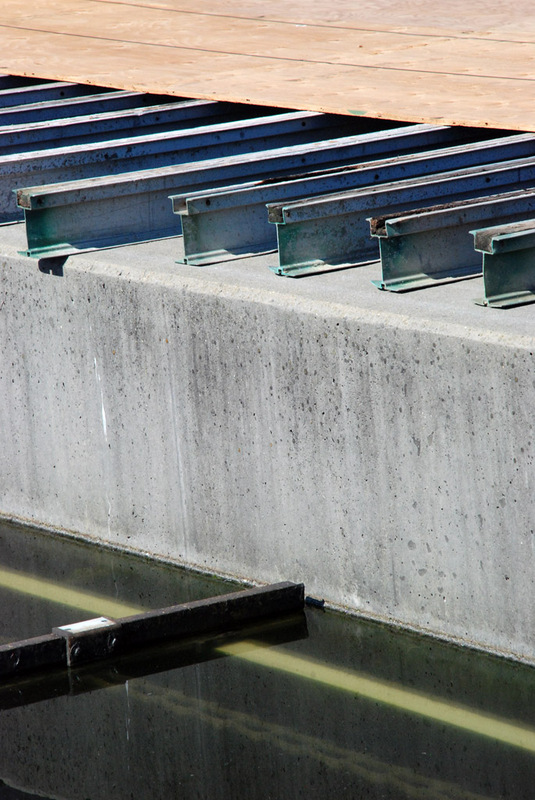 The Camden County MUA treats 58 million gallons (220 million liters) of sewage per day at their two plants. 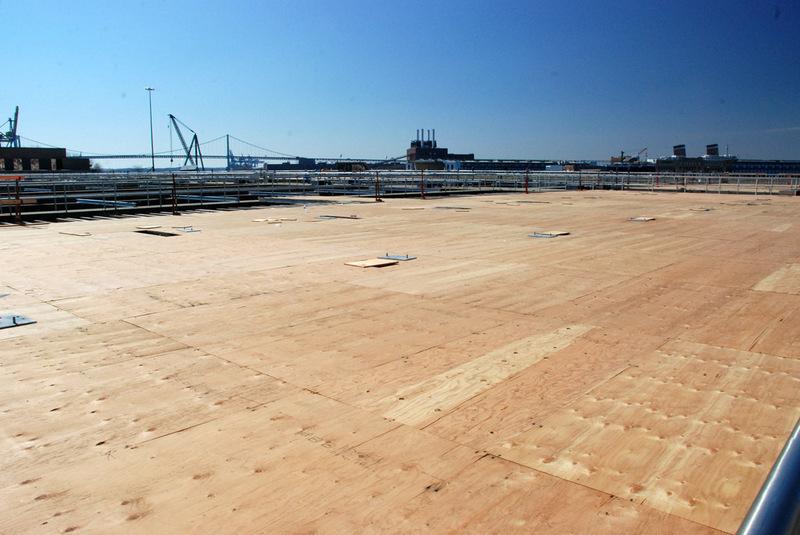 Camden County is located in the southwestern portion of New Jersey, across the Delaware River from Philadelphia. Burlington, Atlantic, and Gloucester Counties border Camden County on the north, east, and south. The County is 226 square miles in area, with a population of about 500,000. There are thirty-seven municipalities in Camden County. 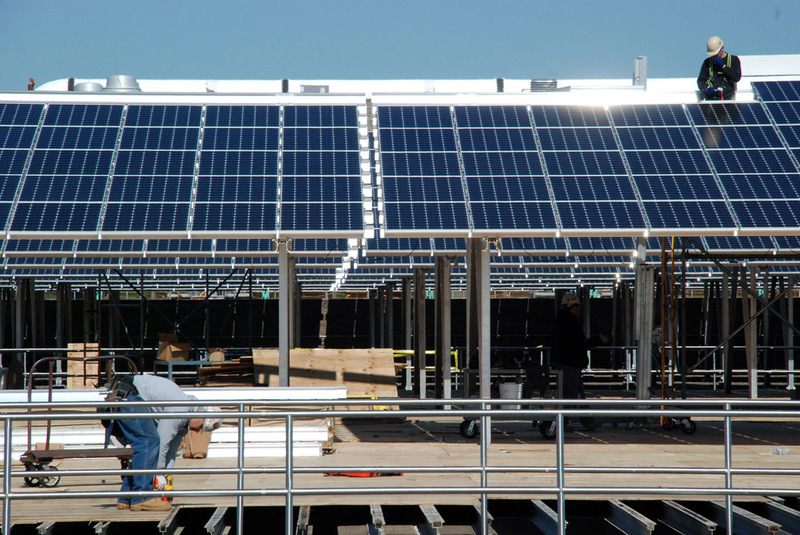 Posted on June 18, 2012, in News & Updates and tagged 215 743-2200, 520 East Luzerne Street, ABC, array, Camden, cbs, energy, facebook, Fox, frame, green, grow solar, innovative, NBC, new, New Jersey, News, NJ, PA, philadelphia, Philly, Rental, sales, scaffolding, Service, Solar, story, support, Suspended, Swing, System, treatment plant, twitter, unique, waste water, wastewater, youtube. Bookmark the permalink. 1 Comment.